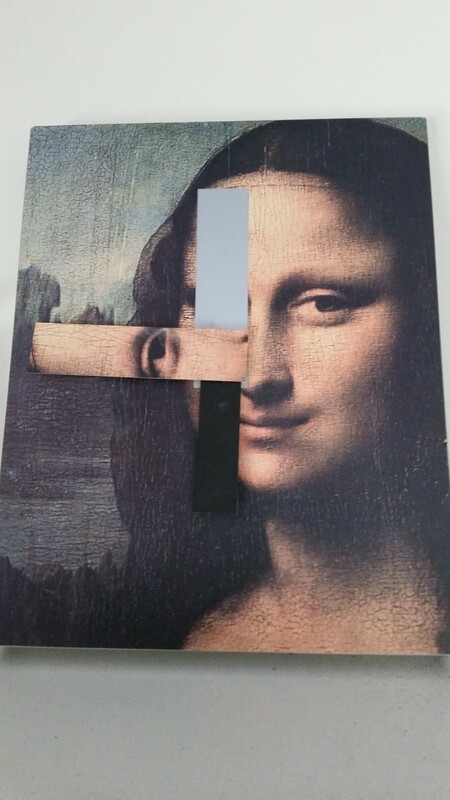 I saw this clock made out of a Mona Lisa, it gave me an idea. I’d never seen art like hers. As I walked around the gallery I could feel all the eyes from the paintings following me around. They were small, playful things and I ended up tripping over a pair of over excited dog eyes. I scooped them up and put them on my shoulder, I didn’t mind having an extra pair of eyes here. Most people thought the gallery was haunted. I walked deeper into the gallery, to the room no one would dare enter. They say her later paintings toward the end of her life were very dark. At first I couldn’t see anything at all, it was pitch dark. But then, I realised that the darkness was fur. The entire room was filled with a fury black monster. It roared at me and the dog eyes on my shoulder bounced around in fear. I reached up and patted the eyes on my shoulder to calm them, which gave me an idea. I extended my hand into the black and started to pat the dark fur in front of me. The monster began to pant and rolled over happily. I don’t think the gallery is haunted, I think her paintings have always been real. She just knew how to handle them.